The Department of Employment Affairs and Social Protection is the designated managing authority for the Operational Programme for the Fund for European Aid to the most deprived who is responsible for the implementation of the programme in Ireland. 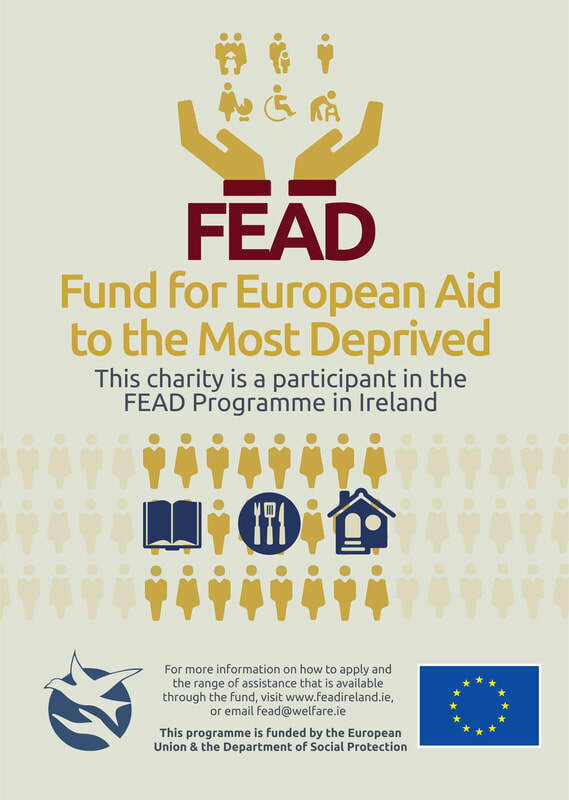 FEAD helps people by addressing one of their most basic needs i.e. food and non-food for personal use and is funded by some of European funding and Irish exchequer funding (26.7m for the period of 2014-2020). This programme is addressed i.a. to the homeless, including long-term rough sleepers, and provides help to The Good Shepherd Centre Kilkenny CLG and its clients in form of food donations.